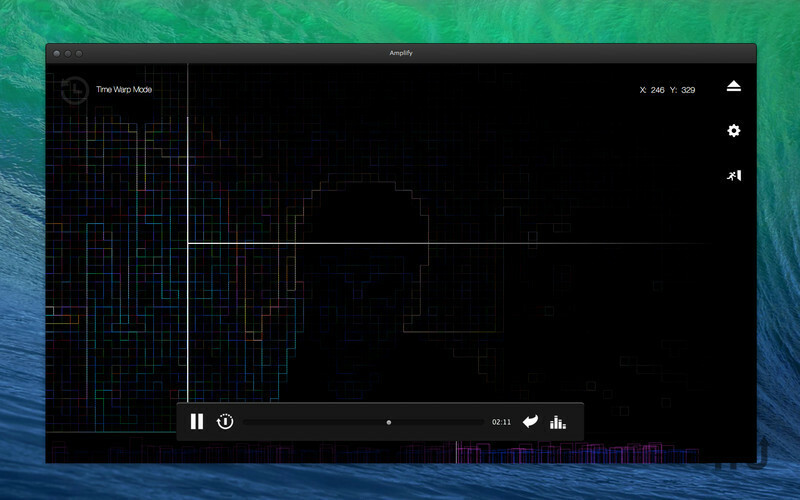 Audio player with gesture recognition via built-in Web cam. Is there a better alternative to Amplify? Is Amplify really the best app in Audio category? Will Amplify work good on macOS 10.13.4? Amplify is an audio player with gesture recognition. Touch your music using a built-in Web cam. Perfect tool for remixers and electronic musicians. 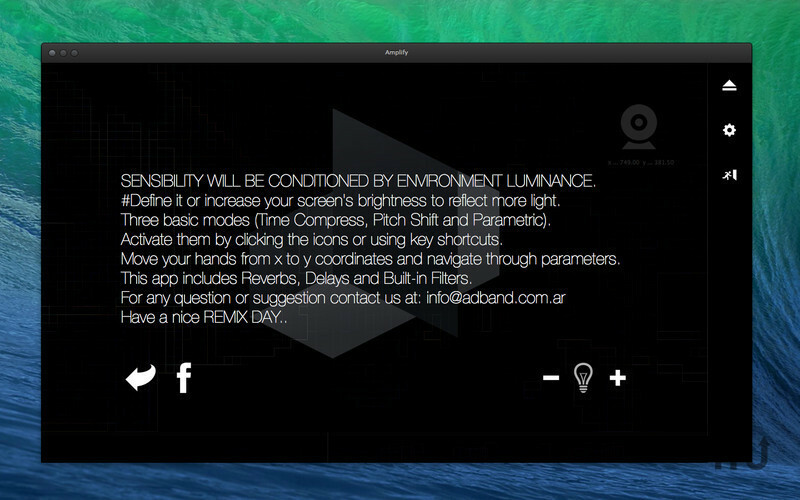 *Hands gestures using your built-in Web cam. Amplify needs a review. Be the first to review this app and get the discussion started! Amplify needs a rating. Be the first to rate this app and get the discussion started!